Philip Frazier of Rebirth Brass Band. Photo © Matt Sakakeeny. 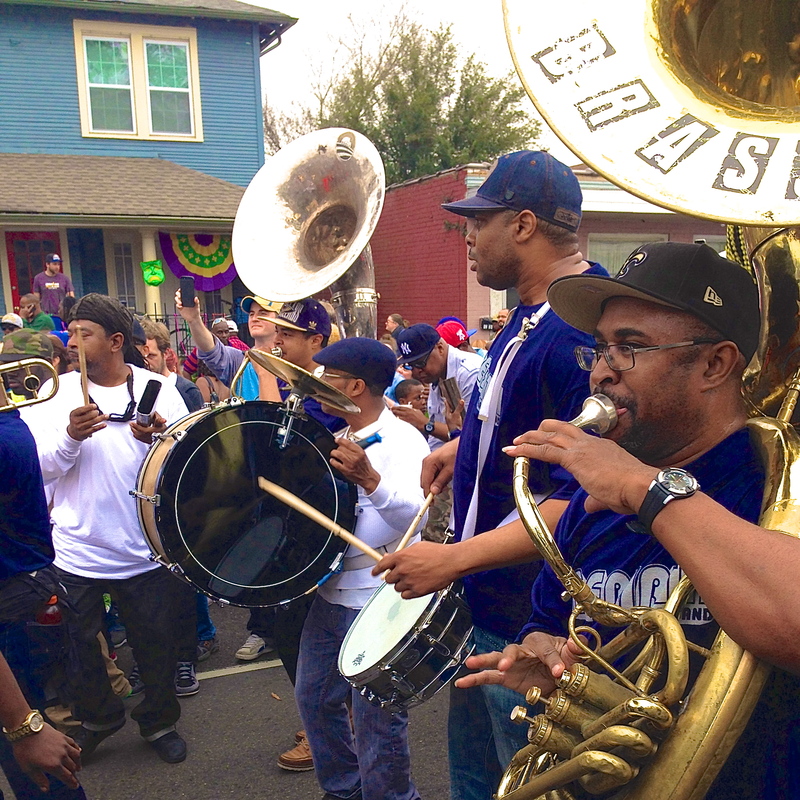 Philip Frazier plays tuba in Rebirth Brass Band, which he founded along with his brother Keith and trumpeter Kermit Ruffins in 1983. All three musicians were still students at Joseph S. Clark High School in New Orleans’ Treme neighborhood when the band released their debut album Here to Stay in 1984. 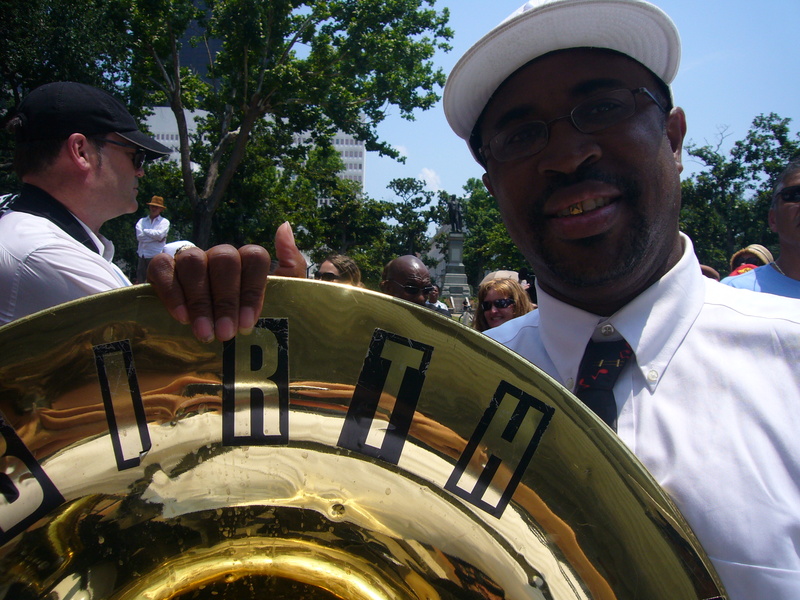 The basis of Rebirth’s signature sound is the tuba riffs that Philip composes, most prominently in the band’s original “hit” songs like “Do Whatcha Wanna” or “Feel Like Funkin’ It Up.” Though his tuba playing borrows from funk-inspired brass bands like the Dirty Dozen and contemporary hip-hop bass sounds, his influence on New Orleans brass band music cannot be overstated. In 2008, Philip suffered a stroke that prevented him from playing with Rebirth for a short time, but Philip quickly relearned his parts and was back onstage at the band’s weekly Tuesday night gig at the Maple Leaf bar in under two months. In February 2012, Philip attended the Grammy Awards ceremony in Los Angeles, where Rebirth was honored for its 2011 album Rebirth of New Orleans. Would you be related to Philip Frazier that lived at 2135 New Orleans Street?